Sinn designed a brand new 43 mm case to house its latest chronograph, one featuring Sinn's Calibre SZ-05 with bi-compax display. Starting with a Valjoux 7750, Sinn makes a number of modifications to transform this movement into one that emphasizes clarity and legibility of the dial. Calibre SZ-05 locates a 60 minute counter at 3 with the sweep seconds at 9. This configuration eliminates the need for the chronograph elapsed minutes counter which is required on conventional 30 minute chronograph registers. The end result is a bi-compax display which is not only highly functional but free of unnecessary clutter. 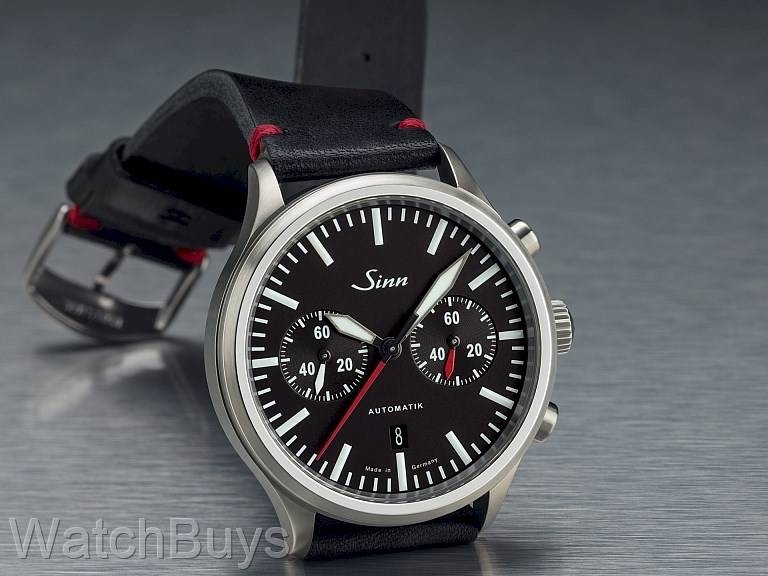 This new case design also removes the crown guard found on many of Sinn's cases. Another feature that we love about this watch is the finishing on the fully Tegimented case. Sinn has incorporated both satinized and polished elements which give a completely different impression than a fully bead blasted case. And now to the hands. The hour and minute hands are skeletonized, coated in rhodium and then matte brushed to create a unique look which matches the case finish. The large surface area of these hands provides plenty of room for SuperLuminova ensuring optimal legibility at night. To keep things interesting, the chronograph and 60 minutes hands are in red, providing stark contrast to the hour, minute and seconds hands. The dial color on both the new Sinn 836 and the Sinn 936 is matte black, but is a slightly different matte black than is used on most other Sinn watches. The technical name of this color is "black silky matte” and the result is a dial that in some light appears black and in other light can take on the characteristics of a deep charcoal gray. 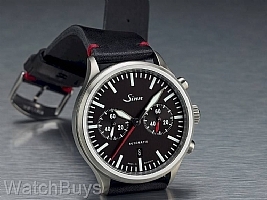 This watch is fitted with a Sinn black calf leather strap with red stitching at the lugs and tang buckle.